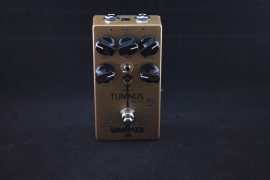 Imagine you have a Tubescreamer that sounds slightly less muddy than usual, and costs less, and comes in a transparent housing so the LED lights glow bright and the circuit board is on display for all to admire. That’s what its like to play through the Visible Overdrive from the folks over at Deadbeat Sound. The so-called “broketique” pedal company has a very specific vision: to provide boutique levels of design and detail at mass produced prices. They achieve this by maintaining a small operation in the States, while outsourcing the actual manufacturing to China. The result is a line of products that includes slightly tweaked versions of classic designs, at a price that is much more friendly than you can expect from boutique makers. In most cases, the offerings from Deadbeat Sound are actually less expensive than mass produced pedals as well. We like having options, and we like you to have options, so we like the idea behind Deadbeat Sound, but we had to see for ourselves how the products actually hold up. 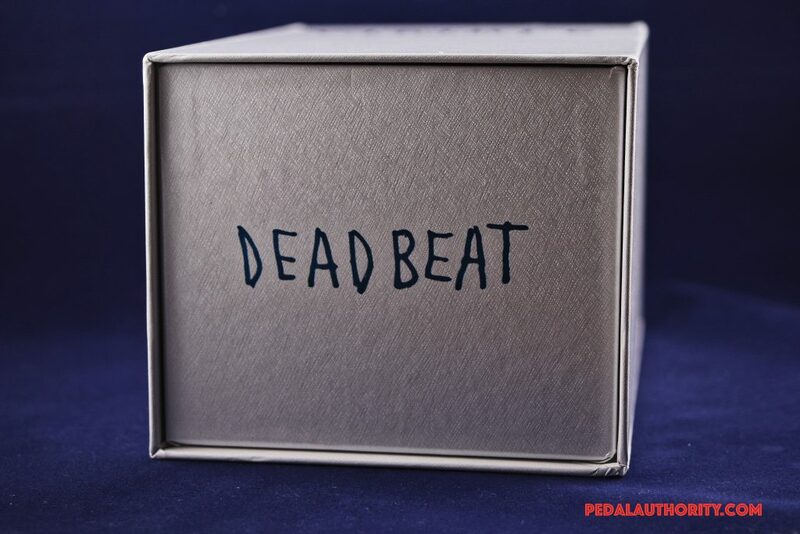 Given the popularity and ubiquity of the Tubescreamer circuit, we were interested in trying out Deadbeat Sound’s take on this classic design, and figured it would provide a nice introduction to the company. Overall we came away from the experience quite pleased. The pedal is a solid, cost efficient, take on an old classic, that could easily be incorporated into any type of pedalboard. Output: controls the level of output signal. This is the same as a volume or level knob. Gain: controls the level of gain, or overdrive that the pedal imposes on your signal. The gain knob on the Visible Overdrive is slightly more sensitive than a stock Ibanez TS, and it even gets a little bit cleaner when turned all the way down. Tone: is basically an EQ control. Turn it up and you get more treble, turn it down and you get less treble. This knob is also sensitive, and allows you to do some pretty specific fine tuning. Again, slightly more nuanced than a stock Ibanez TS. Basically, the Visible Overdrive is a Tubescreamer clone. However, it is maybe better to think of it as a clone of a modded TS, given that the knobs are slightly more sensitive, and that there are more possibilities for clean settings. 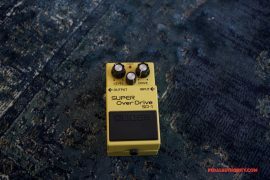 While not as spanky as a Klon/klone, the Visible Overdrive does clean up nicer than a stock TS, and as a result provides a wider spectrum of functional clean boost tones. In fact, even at higher gain settings, the Visible Overdrive is a little less murky than a TS. 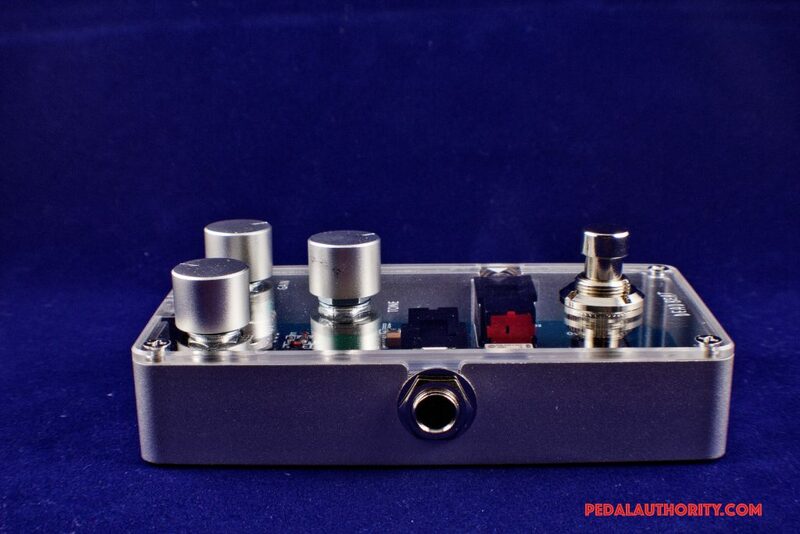 This characteristic undoubtedly contributed to the aesthetic design of the pedal and allowed the folks at Deadbeat Sound to capitalize on the popularity of common pedal descriptors like “transparent” and “clear” (the pedal’s interior is visible thanks to a transparent casing, but the sound of the pedal is also “transparent”). An additional bonus is the array of blue LED lights that shine brilliantly through the plexiglass cover. Doesn’t contribute to the sound in any way, but sure looks cool. 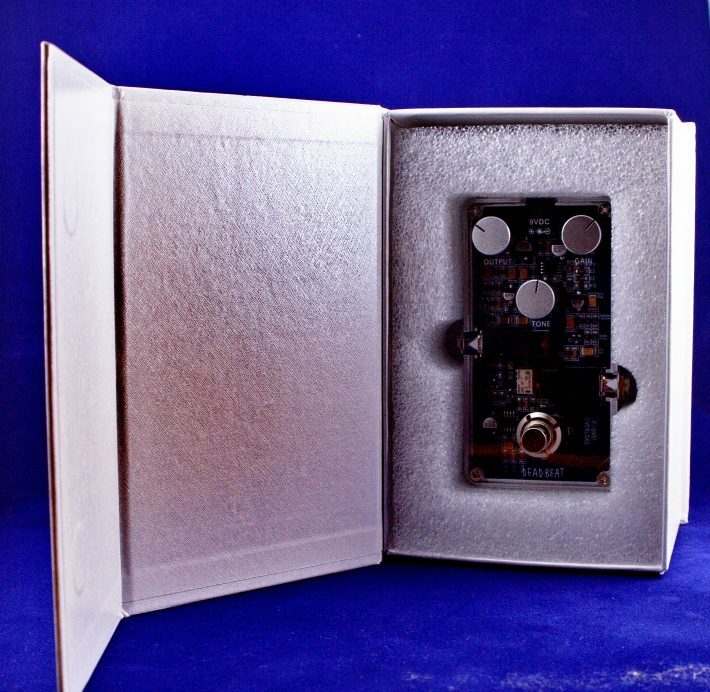 We typically do not talk about packaging, largely due to the fact that most pedals come in some version of a cardboard box, but the Visible Overdrive comes packaged in a magnetic box, similar to what high-end headphones come in. The aesthetic value of the whole unit, including the packaging, is quite high and lends a boutique-y feel to the whole experience. 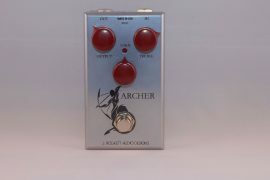 This pedal even comes with two patch cables, so that you can add it to your signal chain straight out of the box. Although more experienced players likely have plenty of patch cables lying around, this is a detail that can really make a difference for beginners. 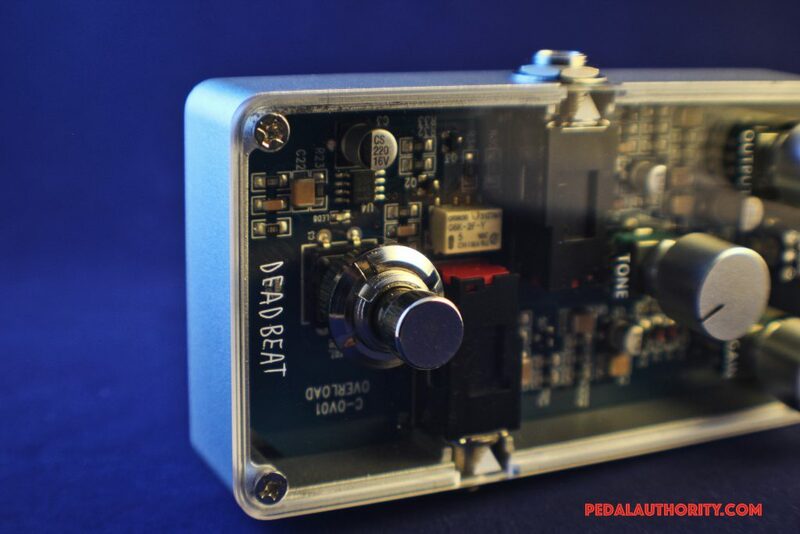 The combination of this unit’s price point, along with the inclusion of a couple necessary accessories indicates that the folks at Deadbeat Sound are interested in democratizing the boutique pedal experience. 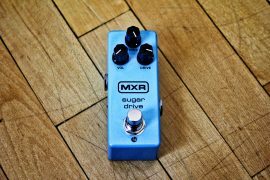 Now even those on a budget and/or those who are just beginning their journey into the realm of effects pedals can access some of the extra perks that typically only come with the boutique/custom pedal experience. 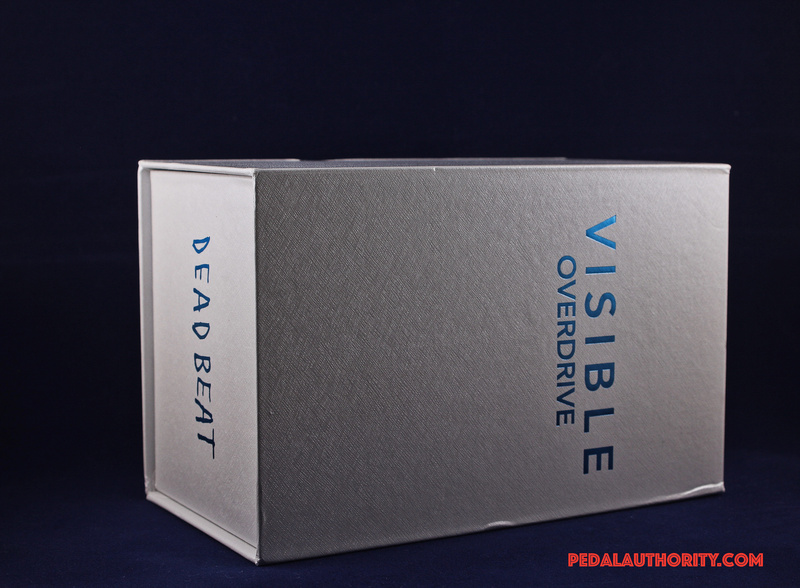 The Deadbeat Sound Visible Overdrive is a useful and cost effective pedal, worthy of any rig. 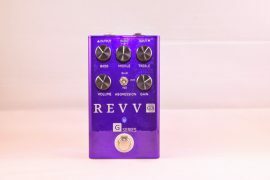 Whether you are just beginning to use effects pedals and are looking for an inexpensive way to get your feet wet, or you know and love the TS circuit and would like a slightly unique take on that flavor to add to your setup, you can’t go wrong with this one. 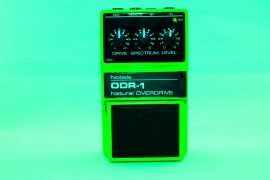 For less than the price of the original, plus a couple of patch cables thrown in for good measure, the Visible Overdrive is a deal and a half.